Another change has been made to Simply Streep that I had in mind for quite some time now – subsections for international articles. The aim is to provide foreign language articles as well. And to keep a better overview, each country receives its own subcategory. 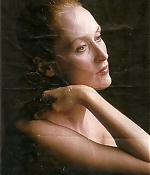 If you have collected non-english articles and would like to share them with the visitors of Simply Streep, please drop me a line. For now, subcategories for Germany, Italy and France have been created – you can already find some (translated) articles, which were kindly contributed by Simona and Soukup. You can find the subcategories on the left in the magazine archive, simply click the flags. Also added to the image library are two French articles from 1983 and 1986, sent in by Alvaro. Enjoy!